3 Versions available: New Black and brown calf leather & vintage gray German Airforce Jacket leather, custom versions by request. They are made of 2 sheets high quality real and very soft anti allergic Calf leather and one sheet of special anti - stretch material between the leather . 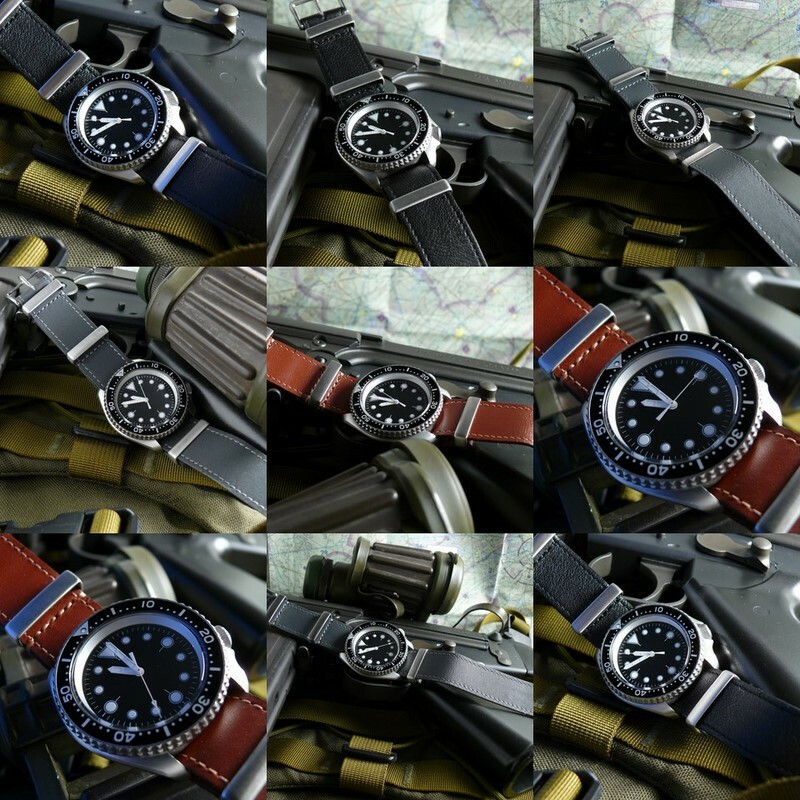 This are straps made for Sports and Military and pilots watches from all decades ,with their military look they will make a great addition to any sports ,pilot or military watch . Prices for the european union + 19 % VAT. Shipping in Europe depends on the destination. order, postal money or cash , in registered airmail letter only please.